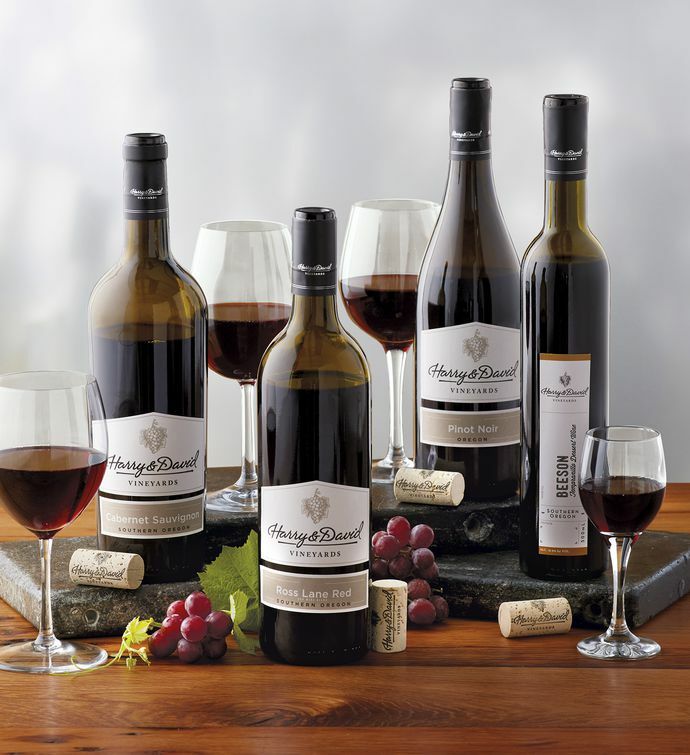 The wine lover on your list will be thrilled with these Harry & David™ red varietals crafted in Southern Oregon, where the climate is a wine maker's dream. This gift includes delicate, versatile 2014 Pinot Noir; lush, robust 2014 Cabernet Sauvignon; approachable-yet-bold Royal Crest Red blend; and velvety, complex 2013 Beeson Tempranillo Dessert Wine. Send these bottles as a gift, and order some to hold your own wine tasting celebration.